Here is a tea cup I found last year at an estate sale. Pretty blue blooms against a pale blue background. I made some Spring Lemon Cookies for some friends that came over this weekend. Combine the 2 tsp lemon juice with the milk and let stand for 5 minutes. Cream together the butter and sugar until light and fluffy. Beat in the egg. Stir in the lemon zest and the milk mixture. In a separate bowl combine flour, baking powder and baking soda. Blend dry ingredients into the creamed mixture. 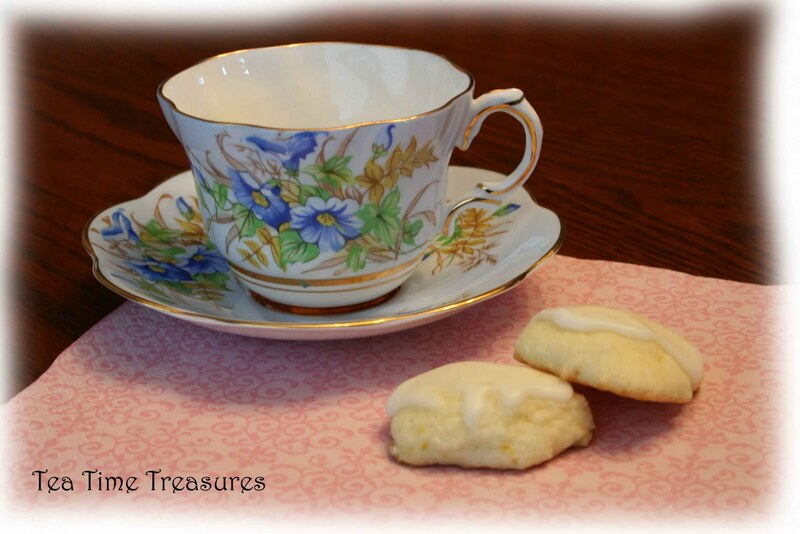 Drop by rounded spoonfuls onto cookie sheets. Bake for 8-10 minutes. 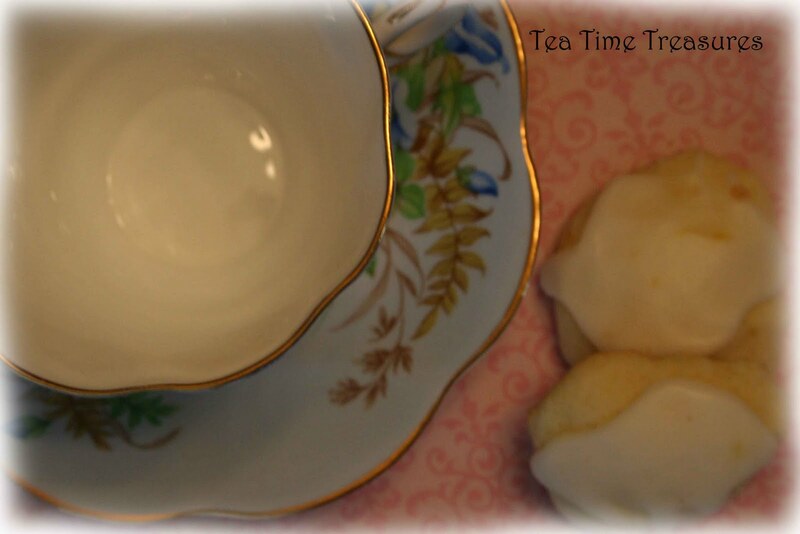 I made a lemon icing with lemon juice and icing sugar, and topped each cookie with it once they cooled. Yummmm! I love your teacup! And the cookies look so yummy. What a delightful combination. Rosina makes such pretty cups! I love the blue morning glorys on yours. It is a perfect spring time cup to drink from. Your lemon cookies sound so delicious! such pretty teacup! 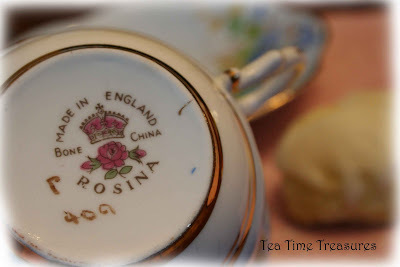 I love Rosina too and I have a cup and few saucers of Rosina.. as for your cup looks good for sipping tea in the afternoon.. thanks for sharing. What a beautiful teacup! Wonderful decoration! the Rosina cup is lovely and I love anything lemon! Thanks for recipe! 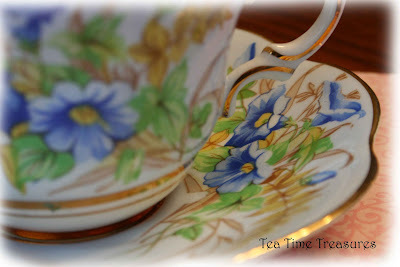 Your Rosina teacup is heavenly - the blues are so striking. What a pretty pattern on your tea cup!! Just sings Spring and Summer!! And the cookies sound so yummy! !